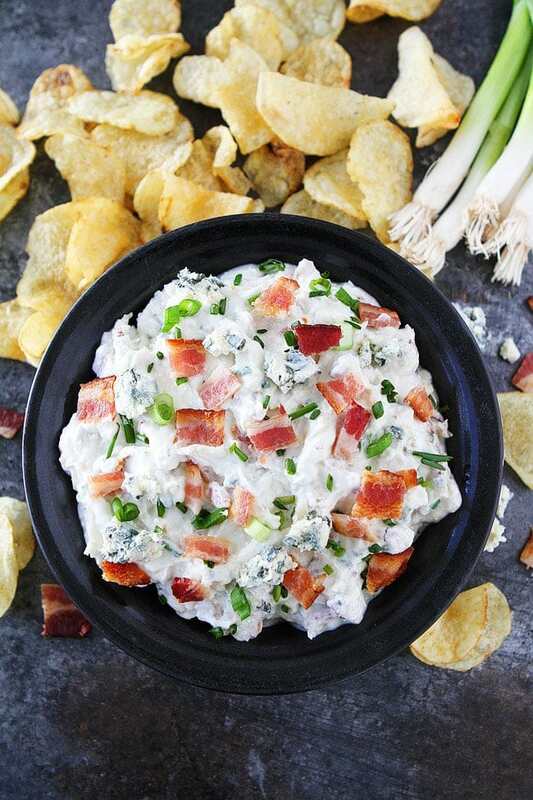 Roasted Garlic Bacon Blue Cheese Dip is the perfect chip dip for parties and game day. It is easy to make and a crowd pleaser! This post is sponsored by Kettle Brand Chips. We are huge football fans, our boys included. When we watch football games, they put on their jerseys, helmets, and grab their ball to play along with their favorite teams. They haven’t broken anything yet, we will have to put a stop to their games when they get a little bigger:) They always take a half time break to eat game day food. Good game day food is a MUST for every football game. We always have a big spread. 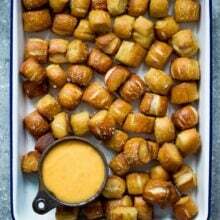 Some of our favorite game day snacks include: pretzel bites, nachos, pizza, guacamole, and Josh’s Roasted Garlic Bacon Blue Cheese Dip! 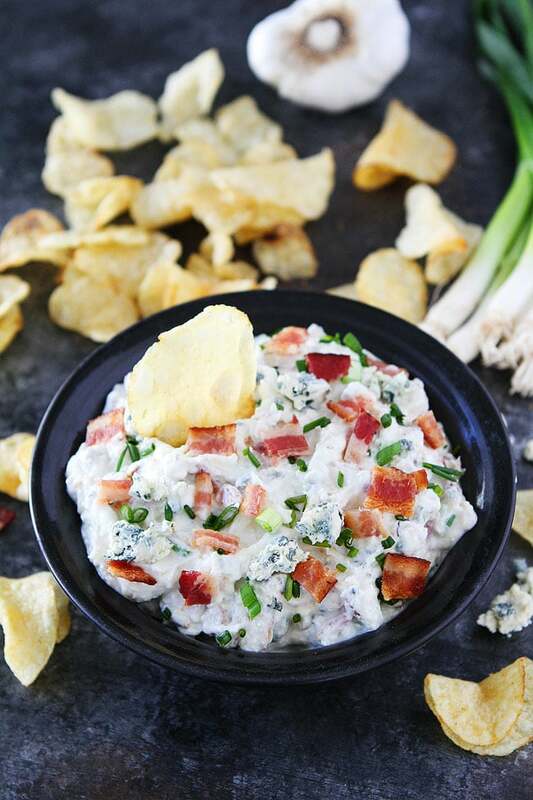 Yes, there is BACON in this dip and it is always a hit! The base is plain Greek yogurt or sour cream, both work well. We usually use Greek yogurt because we always have it in the fridge. You need a whole head of roasted garlic for this dip. What??? Yes, a whole head, I promise I am not crazy. Roasting garlic makes it easier to digest and it isn’t as strong. The garlic gets a caramelized flavor after being roasted and brings out the best flavor. Don’t skip the roasting step. If you added a whole head of raw garlic, your guests might not attend another one of your parties..ha! This creamy, loaded chip dip is SO good with Kettle Brand Sea Salt Potato Chips. The crunchy, salty chips really bring out the flavor in the dip. We love these chips because they only have three ingredients: potatoes, oil, and sea salt. 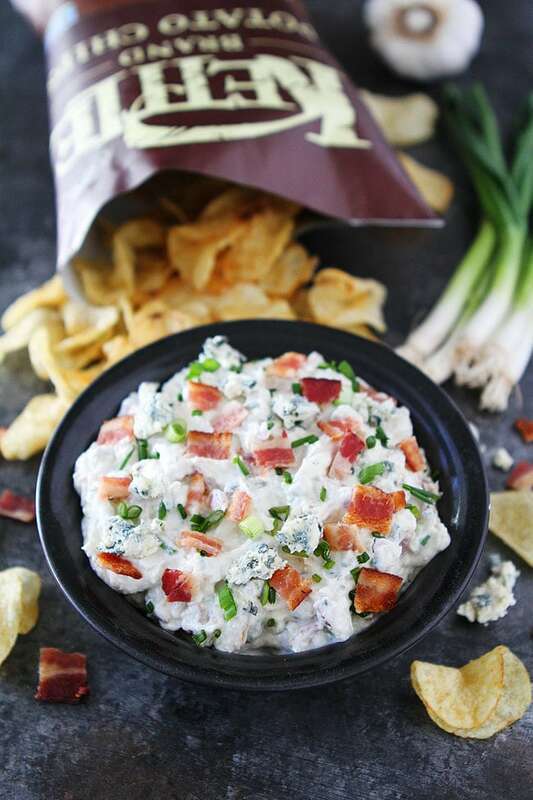 Open up a bag and get dipping into this Roasted Garlic Bacon Blue Cheese Dip. 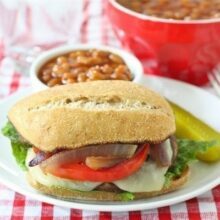 It is the perfect game day snack and there is a BIG game right around the corner! Make sure you are ready to party with this perfect party dip! Enjoy! This loaded chip dip is a great appetizer for parties. It is easy to make and always a hit. 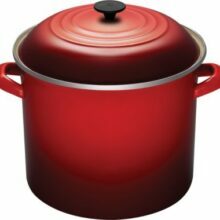 Preheat the oven to 400 degrees F. Remove the papery outer layers of the garlic and discard. Keep the skins on the individual cloves of garlic. Use a sharp knife to cut off the top of the garlic head. Place the head in a piece of aluminum foil and drizzle with olive oil. Wrap up the garlic in the foil and place on a baking sheet. Roast for 35-40 minutes or until garlic is soft. Let the garlic cool to room temperature. Squeeze the roasted garlic cloves out of their skins and smash with a fork. 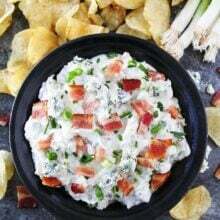 In a medium bowl, combine the Greek yogurt or sour cream, roasted garlic, blue cheese, chives, green onion, and bacon. Season with salt and black pepper, to taste and stir. Serve with Kettle Brand Sea Salt Potato Chips. OMG!! This sounds like all of my favorite things in one dip! Gotta try it! Amazing…! 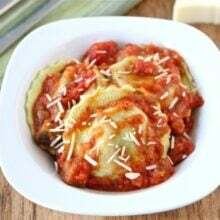 These dish looks sooo yummy and delicious, i will trying to making this recipe in upcoming few days. Thanks for sharing & keep shared new fabulous ideas…! I LOVE blue cheese and will definitely have this in my file of appetizers. Thank you. 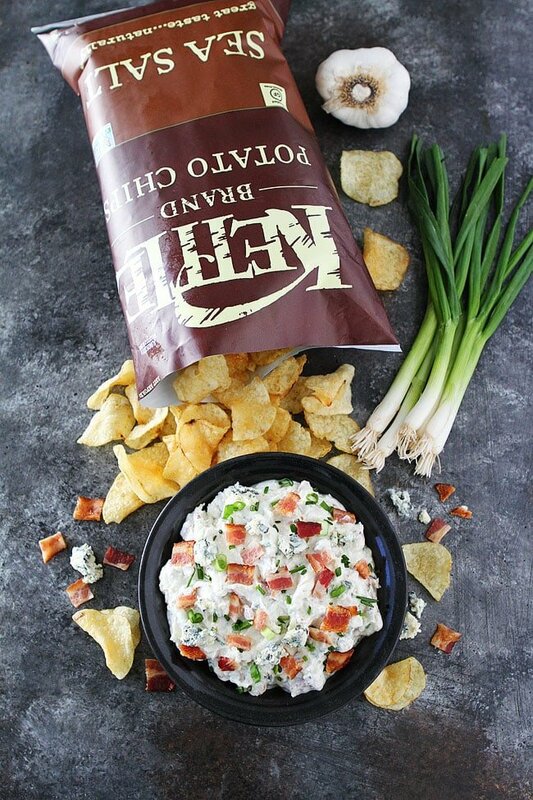 This dip looks like the ULTIMATE crowd pleaser! !